I kept hearing from people I whose opinion I trusted about how good this book was, but I deliberately stayed away from reading about it, because I wanted to go in as cold as possible, and just experience it. 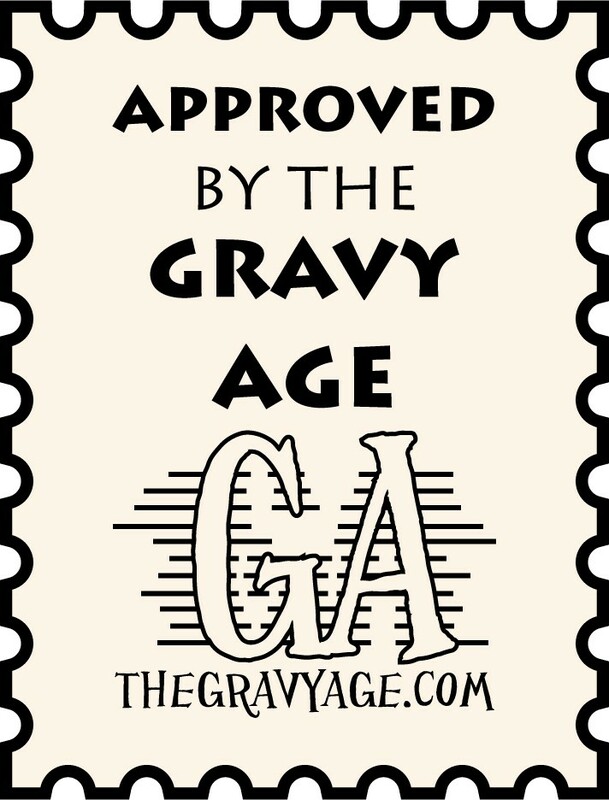 I had heard it was exceptionally good, I had heard it was creepy, beautiful, horrifying, and any number of things. I am so glad I didn’t know too much about it, because it is all of that and more. For that reason, I am not going to go into specifics of the story, it needs to be read without knowing too much, and frankly, it tells you in the first issue where it’s going. You know there is death to come, you know this will all end in tragedy, and as much as you may want things to turn out differently, you will not be able to look away. The story is about The Vision, and his self created family of synthezoids, wife Virginia, and twin children, son Vin and daughter Viv. And eventually their dog Sparky. 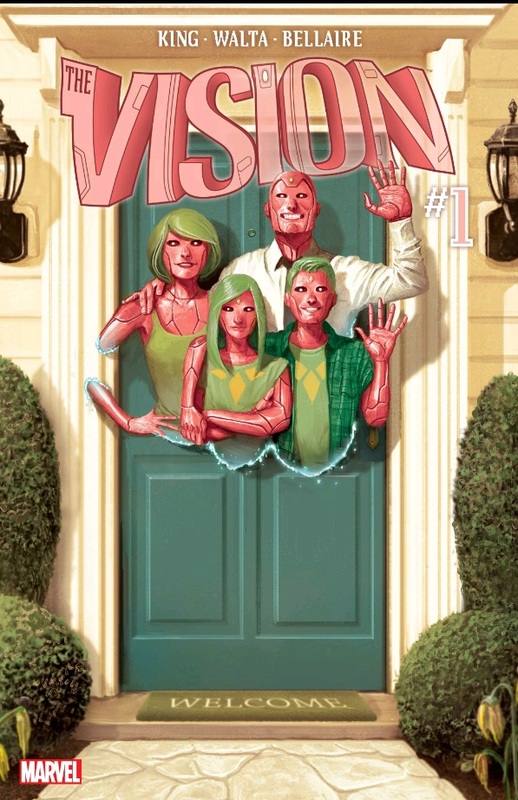 It’s The Vision attempting to live in the suburbs with a family, an attempt to be normal, because that’s what people do. It is easy to draw a comparison to another suburban tragedy that tells you the ending up front, American Beauty, if it took place in the Twilight Zone. It is a credit to writer Tom King that he can tell you, upfront, where it is going to end up, and still constantly and consistently surprise you. The book stands alone, removed from the other goings on of the Marvel Universe, no getting dragged into crossovers, or forced guest stars derailing the story. At the same time, it is firmly in the Marvel Universe, it draws on the crazy, only in comics, history of the character brilliantly. Everything that makes The Vision who he is, is there, beautifully enhancing the story, without requiring the reader to have read decades of back issues. Even if you have never read a single back issue involving The Vision, you get his origin as a creation of Ultron, his marriage to the Scarlet Witch, and their magically constructed children, The West Coast Avengers, the ghostly, white years of the character, Avengers A.I., a vast history to draw from. Tom King uses all of this to tell his story, along with moving things to the inevitable, heartbreaking end he tells you is coming. How he gets there, and why things happen, are shocking, unexpected, and sad. And ultimately, there is something beautiful said within about love. Love of a spouse, of a child, of a parent. I can’t believe I have gotten this far without mentioning the art of Gabriel Hernandez Walta, who is able to convey the ordinary, and extraordinary, and the extraordinary in an ordinary setting. He is able to pull an amazing amount of emotion from the blank-eyed Vision family, as well as make even mundane, suburban life disturbing (though having red skinned synthezoids among normal people at home or school helps) it’s the juxtaposition of normal and abnormal that really helps the story. It’s a huge help to that the book maintains a consistent art team through 11 of the 12 issues. Michael Walsh draws issue #7, but the issue is mostly a flashback issue (and a gorgeous issue) it’s not a huge leap stylistically between Walta and Walsh, to the point where it would be jarring and out of place. A huge part of that consistency is the (always) beautiful colors of Jordie Bellaire, which I always feel I lack the proper vocabulary to express how (and why) I enjoy so much. Covers are by Mike Del Mundo throughout, with the exception of issues #5 and #6 which are by Marco D’Alfonso. The covers are perfection, again contributing to the consistent feel of the series. As I said, I went into the book without knowing too much about it, and that helps with the series, if you want to discuss it, feel free to do so in the comments, but I didn’t want to go into too much here. The Vision is an amazing series. You don’t need to be a fan of superheroes to enjoy The Vision at all. Exceptional stuff from everyone involved.